You can make a significant impact just by changing the type of paper you use. 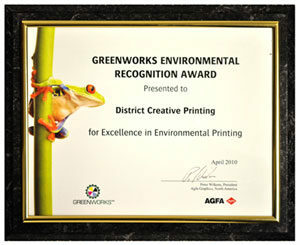 District Creative offers a wide range of recycled papers for every type of job. As an FSC® and SFI® certified facility, District Creative is committed to working in a responsible way to protect our environment. These are considerations while conducting business and being conscious of our impact on the environment. We ensure this by our Chain of Custody procedures that we implement and maintain according to the requirements set forth in the standards. 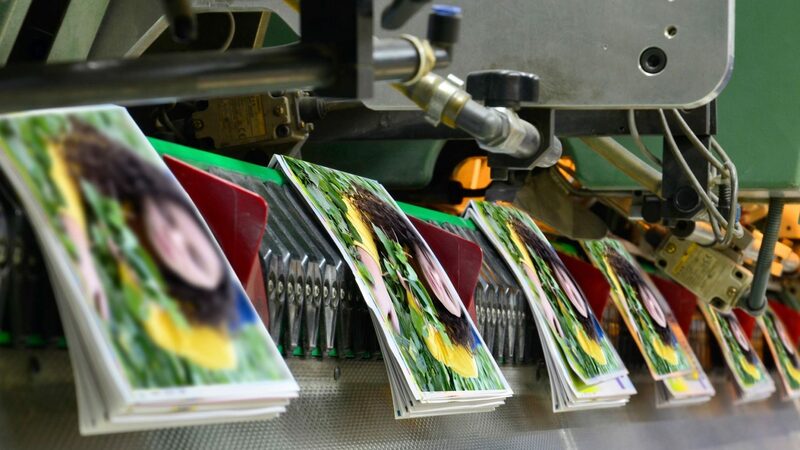 In addition to our certifications, post-consumer recycled papers and soy inks are the norms. We recycle our waste paper, inks, and chemicals.